Did you know In the United States, we use 500 million straws a day! That is enough straw waste to wrap the circumference of the earth 2.5 times or to fill the Yankee Stadium over 9 times in a year. I decided plastic straws were no longer going to be a part of our household. My number one priority is reducing the amount of plastic in our lives starting with the kitchen. Plastic Straws are an easy place to start. Since we’ve been using both glass and metal straws as an alternative to plastic straws I’ll share the pros and cons of each and let you decide whats best for you! Plastic straws are one time use only. After use they end up in the landfill. Or they litter the ground and pollute communities. Plastic is not environmentally friendly. An estimated 500 million plastic straws are thrown out every DAY in the United States. Bush Gardens Theme Park has completely gotten rid of plastic straws and replaced them with paper straws. Truthfully I wasn’t a fan of the paper straws, but I do believe it’s a good step in the right direction. McDonald’s and many other big chains are also in the process of phasing out plastic straws. A lot of plastic contains BPA or other toxins that leach into our food. BPA disrupts our hormones in unknown ways and damages our health. If you use a lot of straws it will cost you more money to keep buying disposable straws. Reusable straws aren’t actually that expensive. If you decide you prefer Glass Straws they are also a reasonable price. Keeps plastic out of the environment and protects wildlife. You buy once and use for a lifetime. I recommend you use the small cleaning brush that comes with the straws to quickly clean the inside of the straw before throwing in the dishwasher. No need to worry about BPA and other toxins. If you are looking at metal straws make sure you buy Food-Grade Stainless steel. Glass is always safe and does not leach chemicals. Especially if you have a eco-friendly or green conscientious person on your list. If you are looking for something unique then I recommend glass straws from Strawsome. 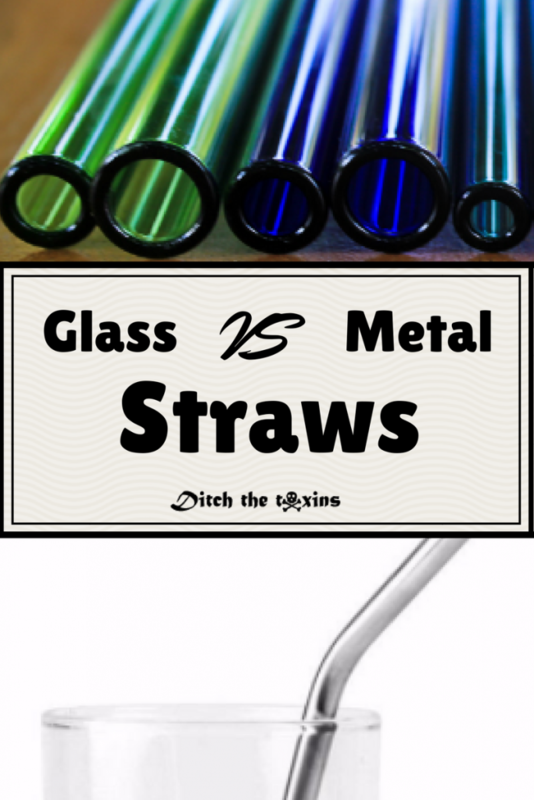 Metal and Glass straws are definitely NOT the same, so you should be sure and pick which one is right for you and your family. They are see through so you can see if they are clean. They come in pretty colors and fun shapes. Not as safe for children. Not breakable like glass straws. Its not as fun when you can’t see the liquid coming up the straw. Not convenient with little kids to see if they actually are drinking: how much or how fast. Drinking a cold smoothie? The straw gets super cold. Washing the straw in hot water? Careful, don’t burn yourself. Overall I prefer Glass Straws, even if they aren’t as practical. If you have kids I would lean more toward the Stainless Steel Straws. After 4 years of use we started having a few chips on our glass straws, but I had them replaced for free (excluding shipping) since Strawsome offers a life-time guarantee. Our kids love the metal straws over the glass ones. There have even been temper tantrums when all the metals ones are dirty. What’s Better: Bottled Water or Tap Water?